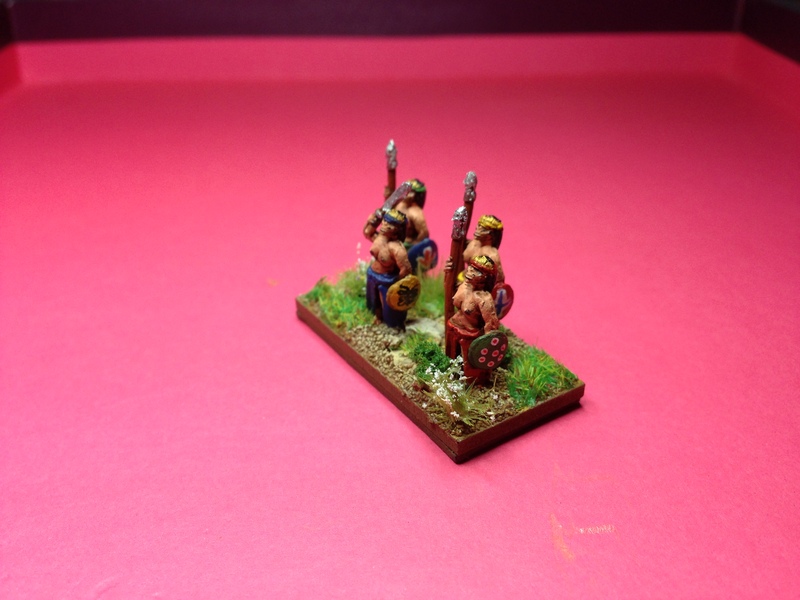 Anthony has often teased me about my love of 6mm figures, with the usual remarks about too small to paint, too small to see and so on. I thought then I should show him some of my 2mm figures. 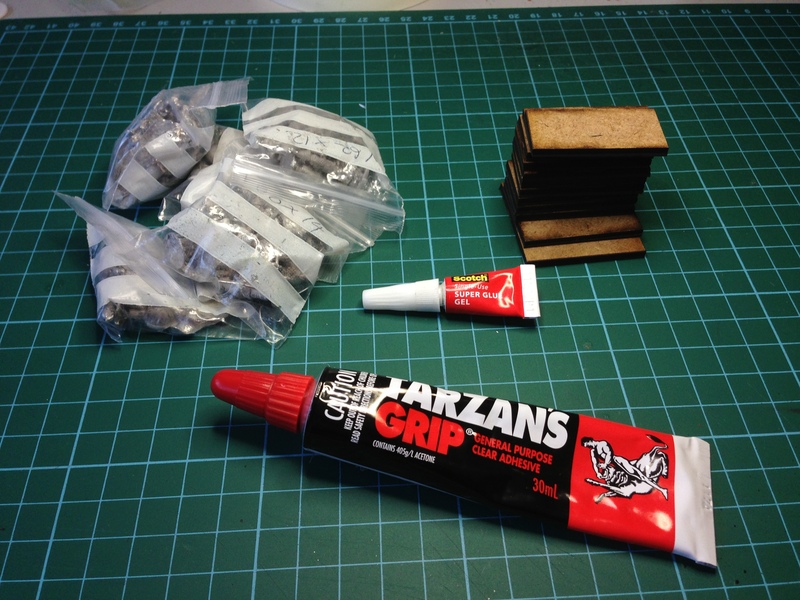 These are painted for Land Ironclads and Aeronefs. The figures are from Irregular Miniatures and form part of the French contingent for my Peshawar project, when I get around to doing some more on that. The grid in the pictures is 10mm square. There is also a beer bottle top there for reference to size. The two trains – the quick and inexpensive way to have a train set. I had about 10 minutes spare the other day waiting so thought I would quickly put some paint to metal. A couple of my village blocks for the Peshawar project seemed the appropriate way to go as I had them prepared a while ago and they were already undercoated. 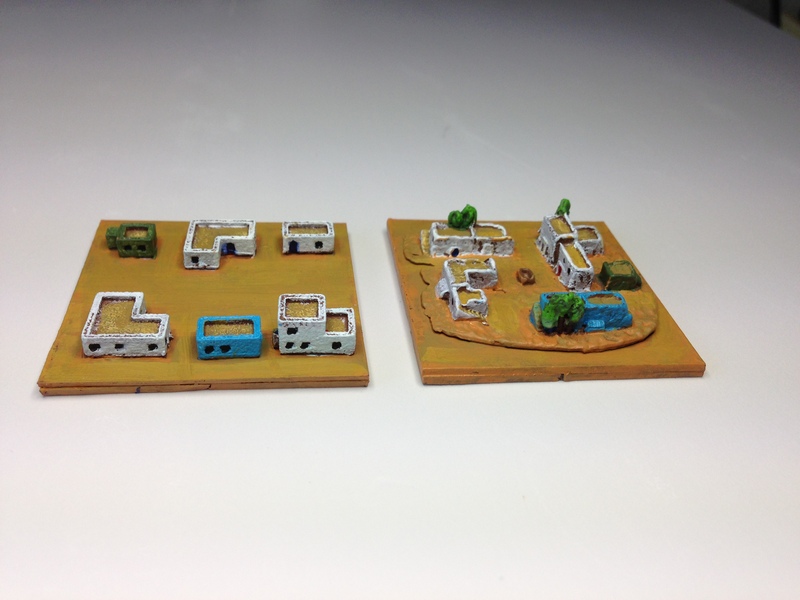 The buildings on the left come from Brigade Models and are really very neat, although I feel I could have placed them a little more randomly on the block. Still, they give the effect and work well with other blocks the same size. The village on the right is from Irregular Miniatures which have a large 2mm range of scenery, soldiers and habitation (and also a pretty neat train). The Irregular village does look more village like – the trees add a little to the ambience. 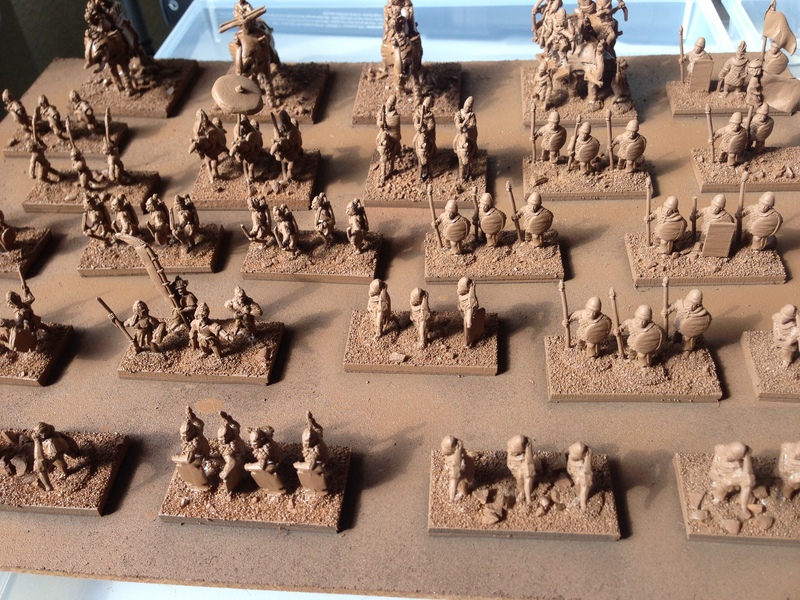 Ground surface was painted just using a variety of desert sand type colours. 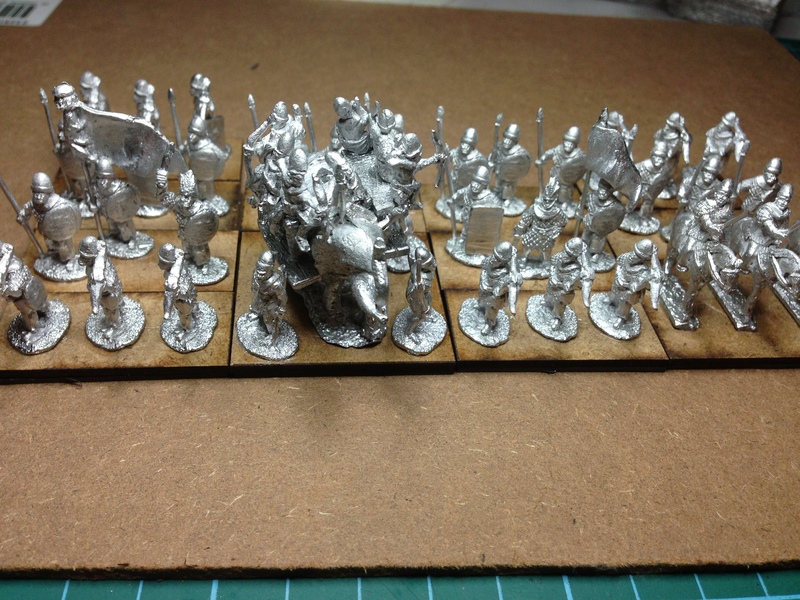 I am not sure about flocking at 2mm scale – will maybe do a test piece later and see if it looks alright or not. There is also a Brigade Models Facebook Page which is easier to get to on smartphones than the ‘blog and where they are happily announcing new stuff and such. 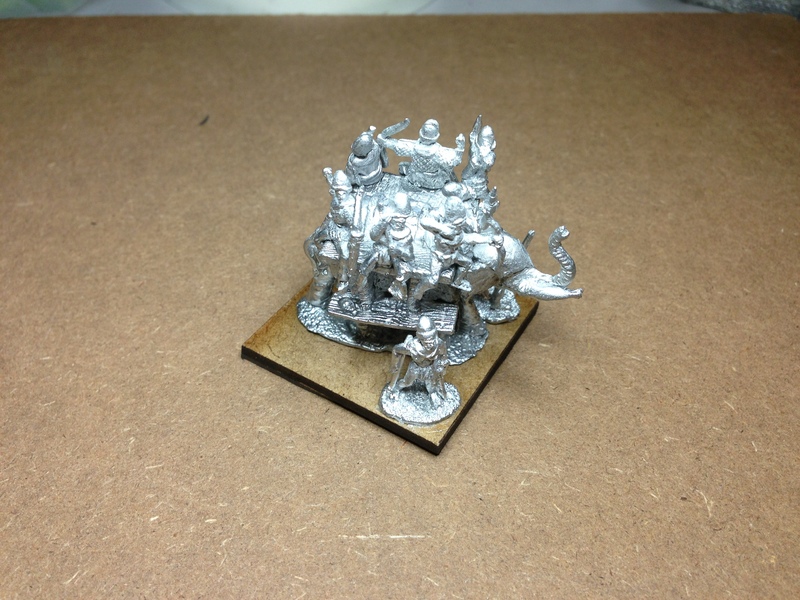 Brigade also posted details of how various folks (including yours truly) were dealing with their 2mm models. Have a look at Out There in the Real World. 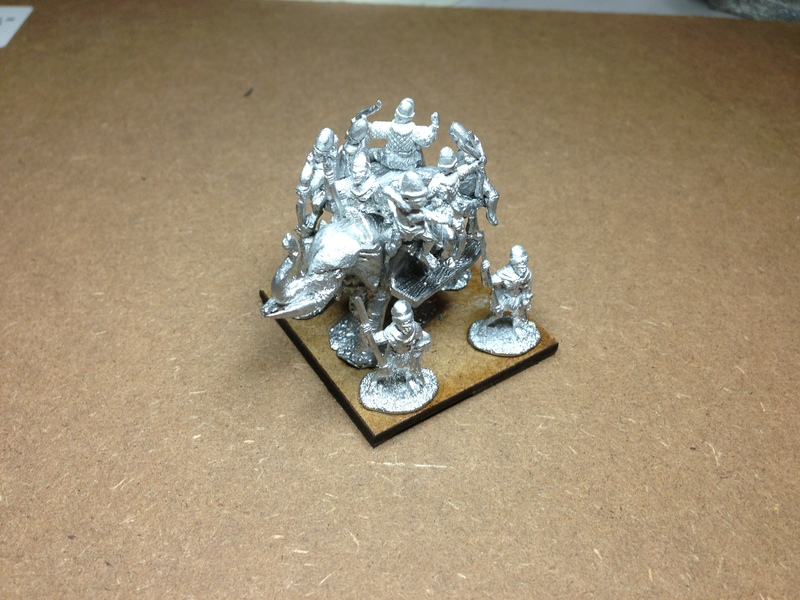 Irregular Miniatures also have a Facebook page with lots of pictures of their various offerings – not so much in the 2mm line though. Hmm, modern 1/3000th naval vessels under paint – but the call of the Aeronef is getting louder.